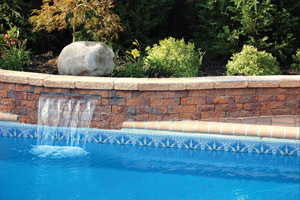 Nicolock Paving Stones & Retaining Walls is distributed by Island Block & Masonry Supply. Nicolock Paving Stones are fortified with Paver-Shield, an ultra dense surface with more color and more protection. Nicolock has color from top to bottom throughout the paver ensuring a lifetime of beauty. They offer superior color blending which means the product will have variegated tones and no blotches. Nicolock offers more color and more like then anyone in the industry ensuring their products are vibrant for years to come. They have “quality that exceeds expectations”. 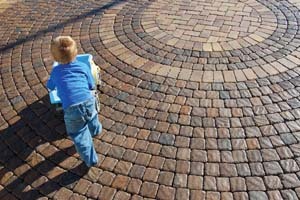 Paver Shield Pavers – CLICK FOR MORE INFO! 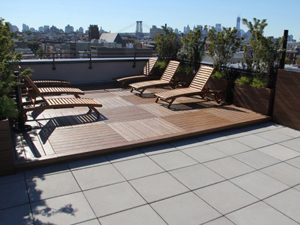 Pavers with Paver-Shield are specially formulated for quality, strenght and performance. Nicolock Paver-Shield pavers have a smooth dense surface texture and color from top to bottom. Available in a wide variety of styles and color choices the possibilities are endless. Nicolock offers Holland Stone, Stone Ridge, Stone Ridge XL, Blue Ridge, Ridge Brick, Cobblestone, Rustico, Colonial Cobble, Alpine Ridge, and the Plaza Slab all as Paver-Shield Pavers. 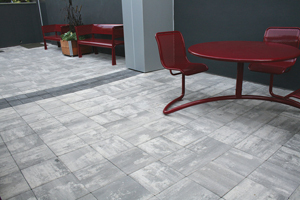 Toscana Antiqued Pavers – CLICK FOR MORE INFO! Nicolock’s Toscana Antiqued pavers combbine the look of naturally aged stone with the durability of high strength concrete. Nicolock Toscana antiqued products are distressed using state of the art technology to create a weathered look with a consistent textured finish. 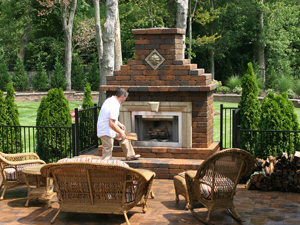 Nicolock offers Holland Stone, Country, Olde Towne, Village and Pompeii as Toscana Antiqued Pavers. 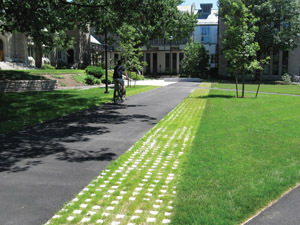 Environmental Pavers – CLICK FOR MORE INFO! Nicolock manufacturers serveral variations of eco-friendly environmental paving products. These products allow storm water to percolate into the soil rather then run off into sewers and waterways. In addition to being friendly to the environment, they often can help you use more of your property by providing more permeable surface to meet government requirements. Paving Slabs – CLICK FOR MORE INFO! Nicolock manufactures several distinct retaining and garden wall systems. Each is versatile and can be used for a multitude of applications. Available in a variety of popular colors, Nicolock wall systems are designed to enhance the landscaping and accentuate any vertical applications in your landscape design. Several of their walls feature two finished sides which allow them to be used in freestanding applications. Bradstone by Nicolock is a superior outdoor landscaping material, world renowned as an attractive yet cost effective alternative to natural stone. Bradstone embodies an elegance born of an eariler time, while taking advantage of the high performance, low maintenance and long life offered by modern high grade manufacturing technology.